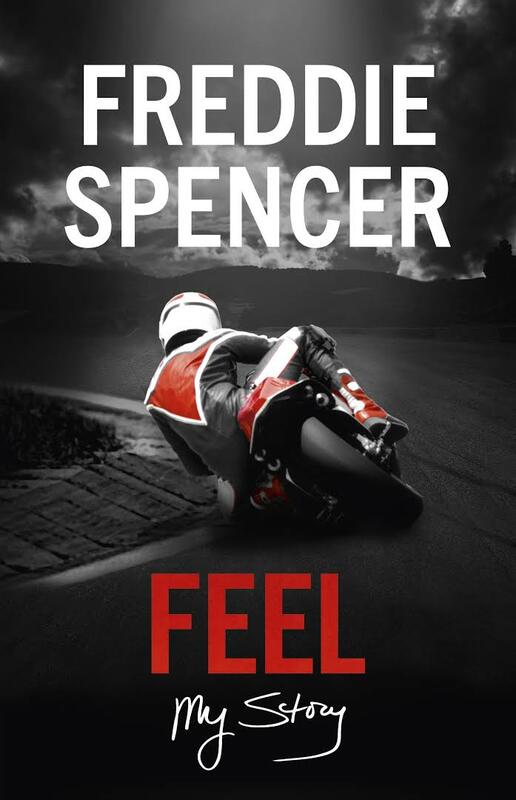 From humble 250cc road going street bike to 500cc championship winning classic racer. 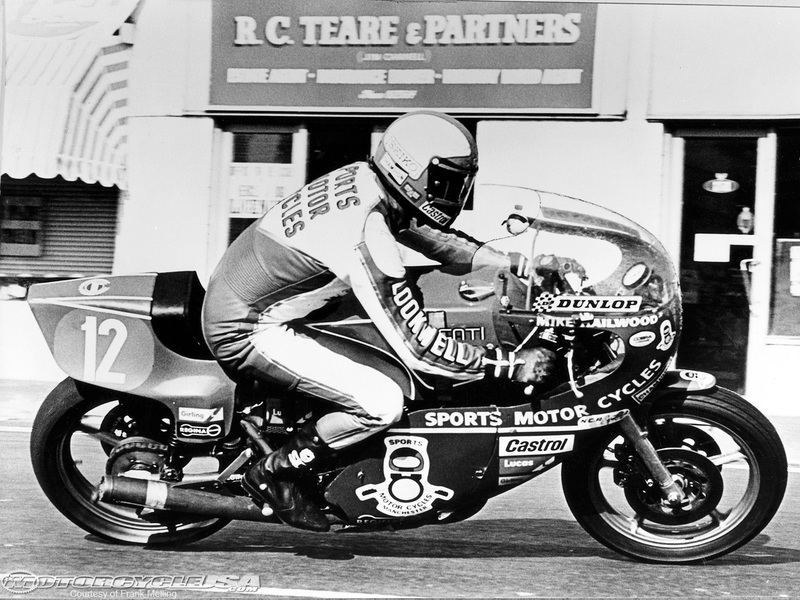 I penned this article in 1984 for Bike Australia, and over the thirty years since, Jerry Kooistra built Honda CB72 based 350cc, and 500cc classic racers have been winning championships and breaking lap records. 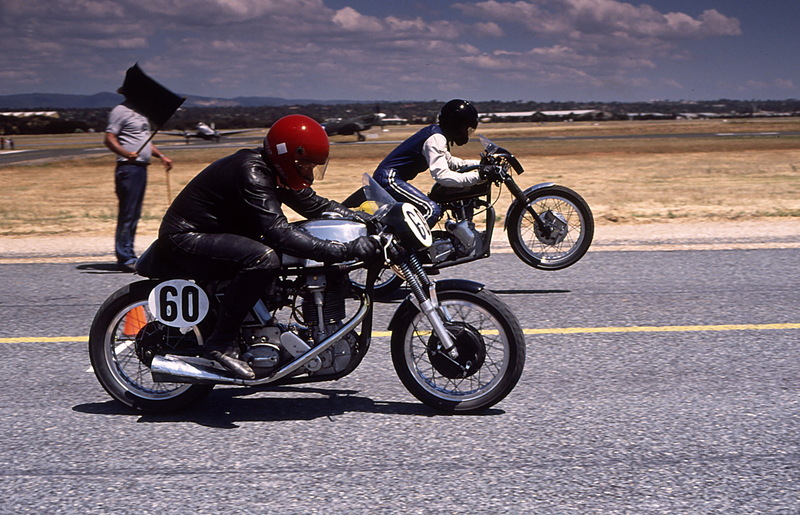 Classic racing in Australia has become one of the most popular and fast-growing sections of motorcycle road racing, a trend that’s also sweeping many other parts of the world. 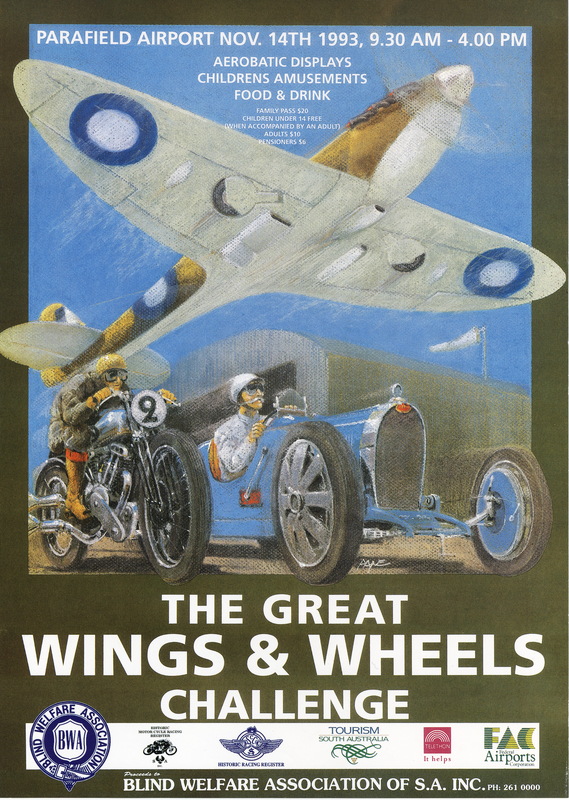 The class in Australia caters for motorcycles manufactured between 1931 to 1962, giving a new lease of life to many famous, but previously idle, racing machines. 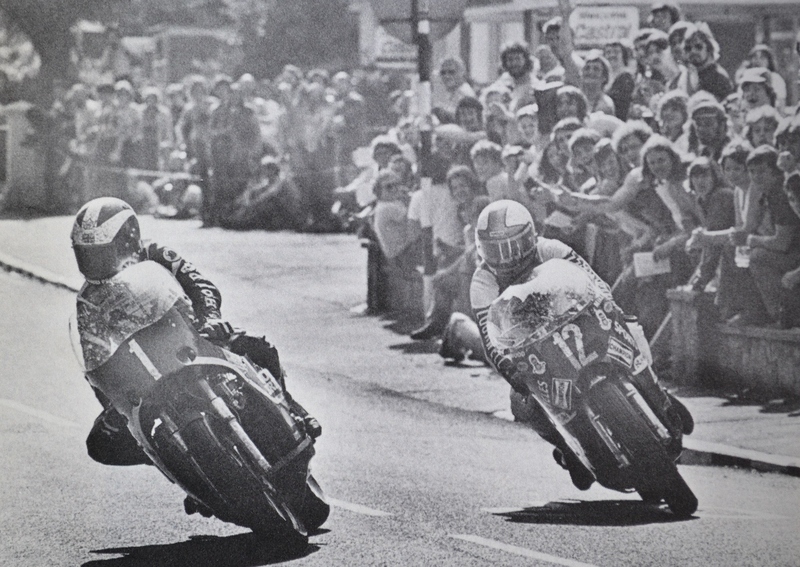 It has also lured former world and national champions out of retirement to compete; recreating an era of motorcycle racing that was missed by many of today’s racing enthusiasts. 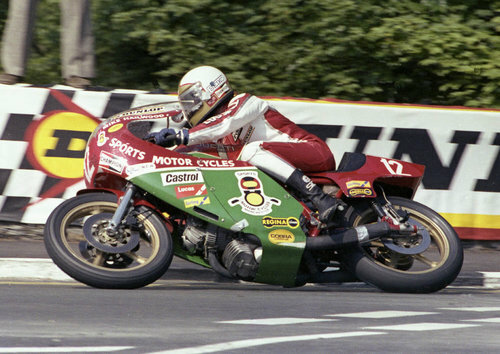 At any classic meeting, it’s not unusual to see pristine examples of pure classic racing machinery such as the 500cc Manx Norton or 350cc 7R AJS. However, it is rare to find a Concours condition racing special built from a road bike that would do any factory’s racing department proud. 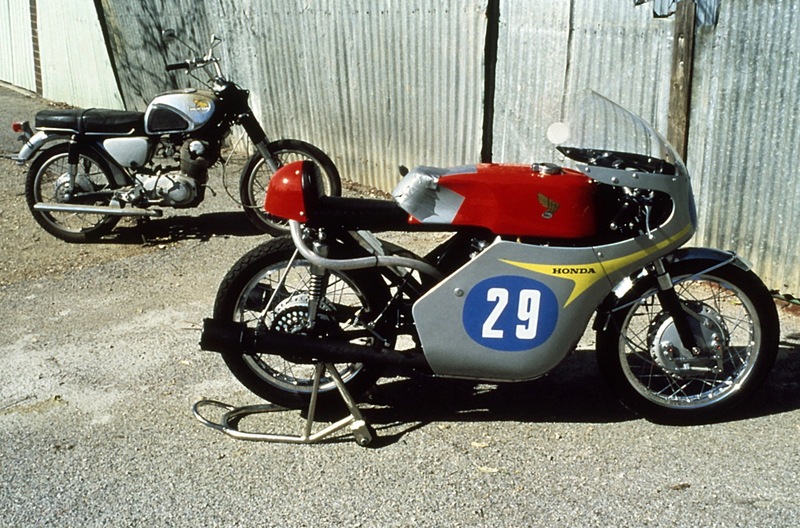 The racing bike in question is the Graham Besson, and Jerry Kooistra owned and built Honda 500cc twin that started its life as a road going 1962 250cc CB72 Super Sport. 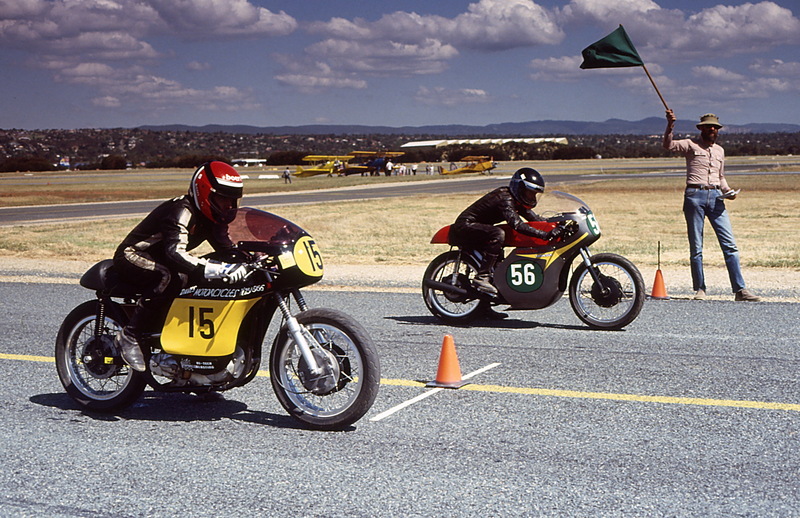 The 500cc and its older 350cc brother have made the team a force to be reckoned with in Australian classic racing. 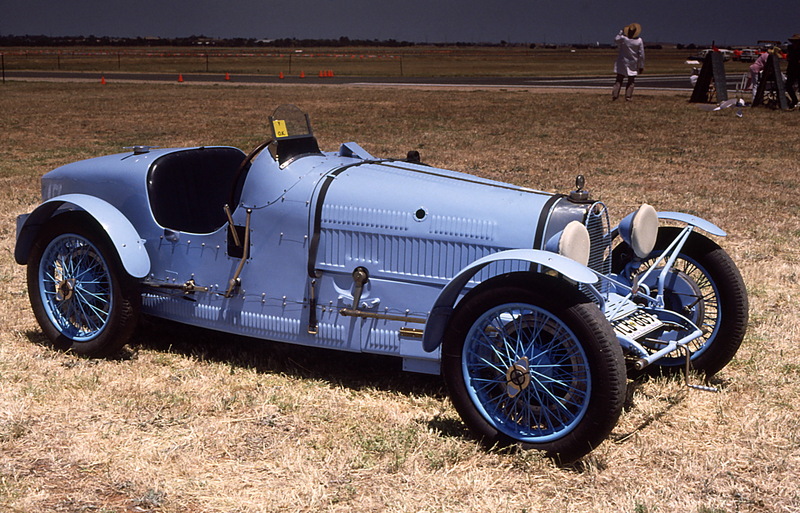 The teams racing debut was at the September 1981 classic meeting in South Australia. 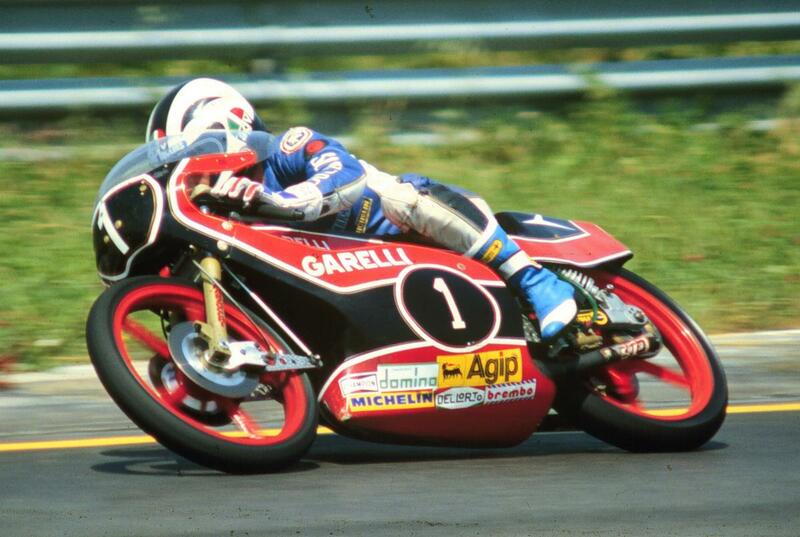 Using the 350cc CB72, they won all four heats against machines of up to 1000cc capacity and in the process broke the lap record. 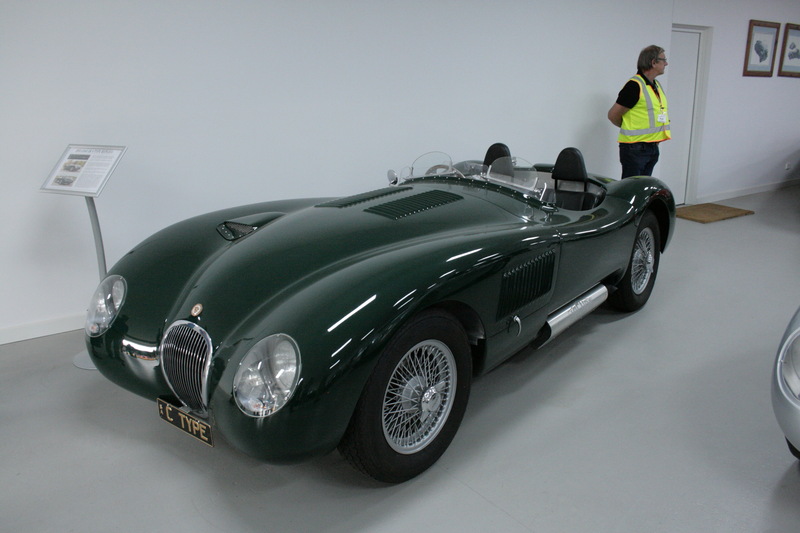 Since that successful debut, the 500cc version has been developed and holds lap records at all four venues in South Australia and recently won the 1983 Historic Twin Cylinder Championships at Mallala Motorsport Park. 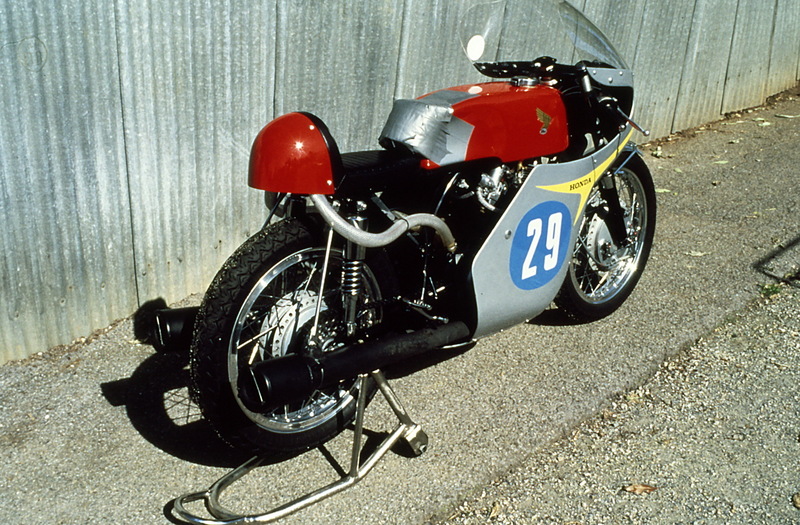 The 350cc version of the Honda CB72 based racer. Graham and Jerry modestly suggest this is due to their professional approach to racing that has been complimented by having top riders such as Wayne Gardner and former Australian Champions Otto Mueller and Bill Horsman riding their machinery. The team has been so encouraged by their results that they’re building a new 500cc bike for Bill Horsman to ride at Daytona in the Classic Race and Battle of the Twins. The target is Daytona 1985 due to business commitments and the need to find sponsorship to fund the project. But success for the CB72 racers did not happen overnight, and it has taken many years of development to make them competitive machinery. 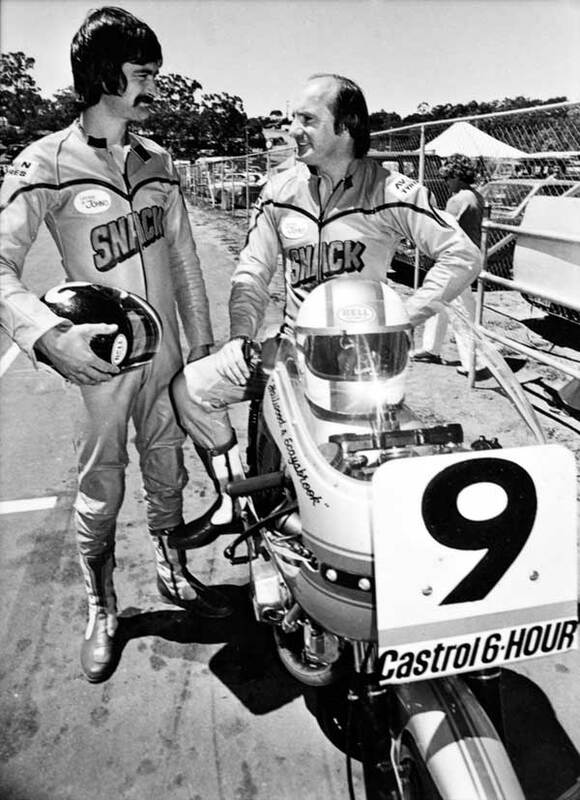 Graham started modifying Honda CB72’s with mechanic and racer Terry Dennehey back in the early sixties when Besson was a budding road racer living in Sydney. 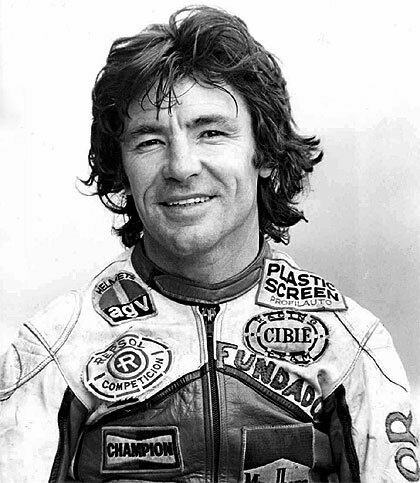 Their bike in 350cc form was officially timed at 136mph (223kph) at Longford in Tasmania, which Graham believes is still the record for a 350cc four-stroke. 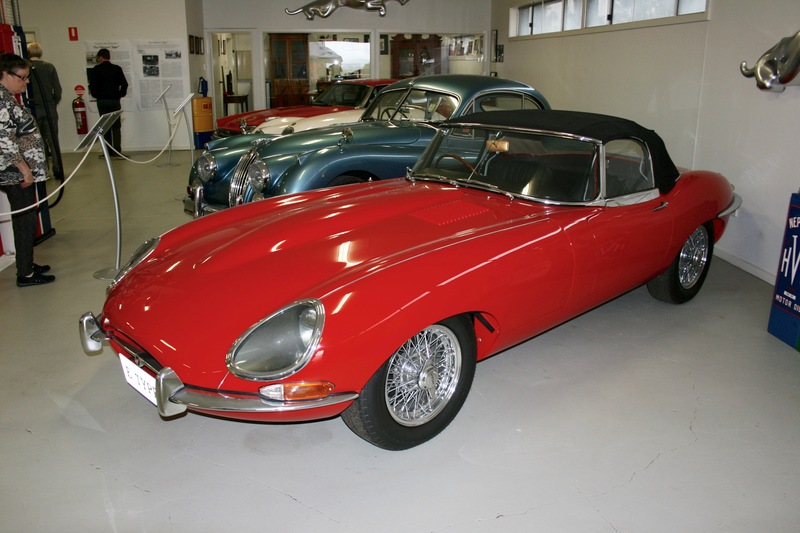 In 1970 with the motor stretched to 500cc, it was measured at 142mph (228kph) at Bathurst. It’s worth noting that “Pops” Yoshimura (who was virtually unknown outside of Japan at that time) was developing the CB72 engine along the same lines. A data sheet put out by Yoshimura and distributed by Honda compared favourably with Besson and Dennehey’s development work. Eventually, Graham pulled out of the project and Dennehey sold the bike to the Honda Racing Team of Tasmania who Kooistra was involved with as a rider/mechanic. 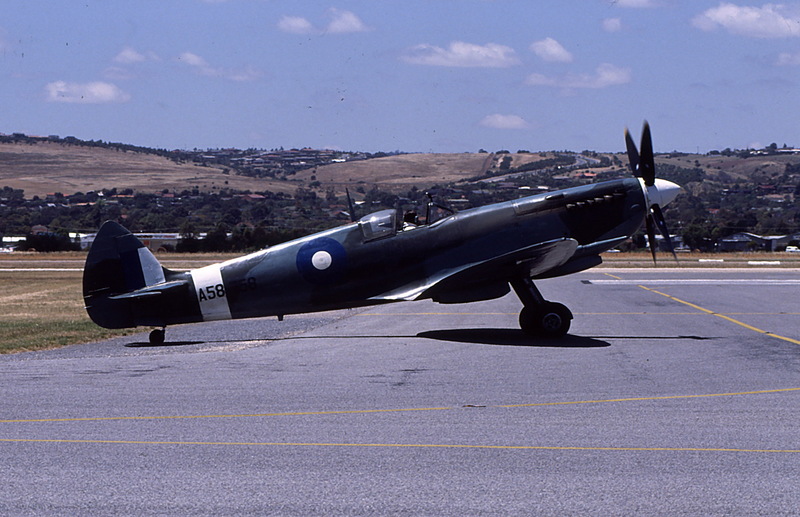 Graham later moved to South Australia with his family, which by chance is where Jerry Kooistra moved some years later. It was after meeting again that they decided to build the current generation of CB72 racers to meet classic racing requirements as a “hobby”. To say their CB72 racer is highly modified would be something of an understatement and would probably not do justice to the many parts that Jerry Kooistra (who is a toolmaker by trade) has fabricated for the bikes. On the 500cc engine, they’ve used their own specially built crankshaft to increase the engine’s stroke from 54mm to 64.8mm, which required the use of a spacer between the barrels and the crankcase. The bore has been increased from a humble 54mm to a whopping 70mm by using new liners. These took so much “meat” out of the barrels that the cooling fins had to be welded together! Many hours were spent optimising the cylinder heads gas flow with the resultant increase in inlet and exhaust valve size of 27mm to 32mm and 32mm to 37mm respectively. Compression has also gone up from 9.5:1 to 10.5:1. 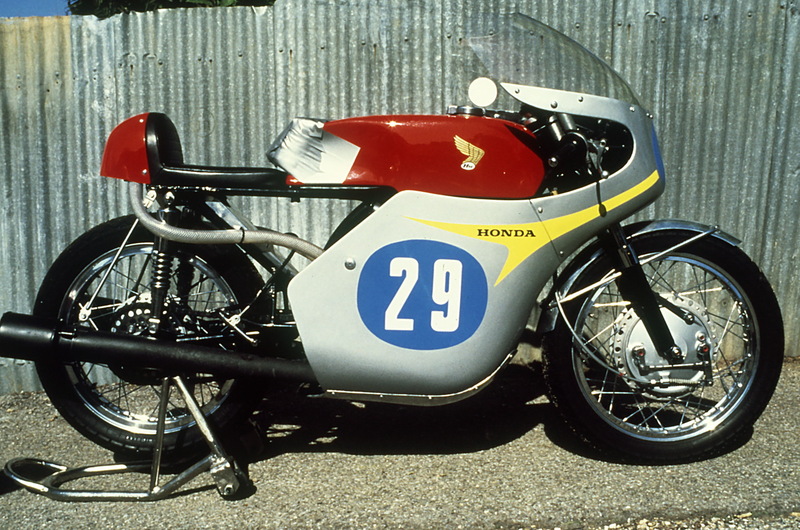 The 500cc version of the Honda CB72 racer. Note the mufflers on the end of the megaphones. 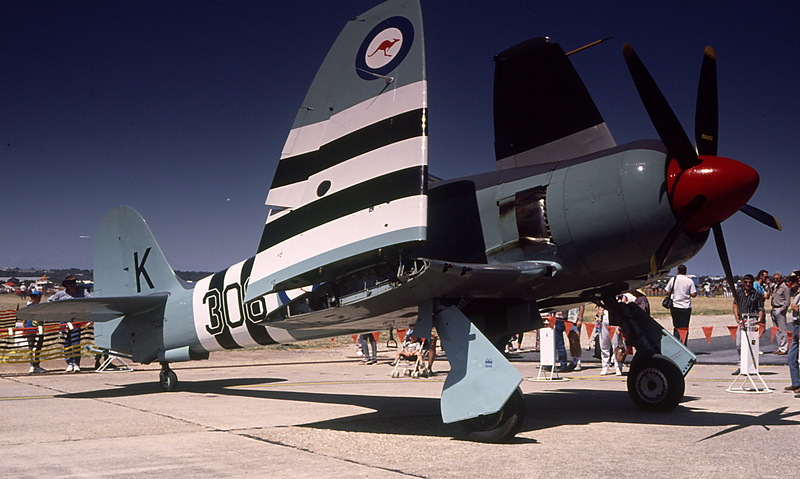 Although Graham developed a lumpier camshaft for the CB72 in the sixties, they have found it necessary to design a new profile for the particular requirements of the larger engines. Jerry has also slotted the camshaft sprocket and can adjust the degree of cam timing independent of the crankshaft and individually for each cylinder. Kooistra will even grind the cam followers in the quest for a perfect set-up. The original neoprene guides for the cam-chain have been retired so steel items can be used in the pursuit of reliability. A pair of 31mm Keihins, that replace the standard 22mm units, supply the air-fuel mixture. These were acquired from the Honda Racing Services Centre and were at one time offered as part of a race kit for the CB72. They are replicas of the carburettors on the factory’s first 125cc Grand Prix racers from 1959 except they are die-cast instead of sand-cast. All that effort to get more air-fuel into the combustion chamber to create a bigger “bang” would be partially lost if the exhaust system didn’t allow the engine to exhale correctly. Over a hundred hours were spent developing exhaust megaphones to achieve the correct power characteristics only to find the exhaust note was over the allowed decibel limit. In desperation, some mufflers were made from automatic transmission parts and tacked on the end of the megaphones. To their surprise not only did the mufflers put the exhaust noise under the decibel limit but also increased the racers horsepower. Jerry believes the engine is making approximately 60bhp at 10,000rpm, a jump of 36bhp over the stock 250cc engine that produced 24bhp at 9,000rpm. Lengthening the stroke of the engine required some particular thought to increase the oil supply and to improve crankcase breathing. The standard 250cc CB72 sump was small capacity and only carried 1.4 litres of oil so an extra oil tank was fitted directly above the crankshaft relieving oil pressure and allowing it to flow back into the crankcases. Breather hoses run from this tank to a catch-tank which doubles as the seat bum-stop. A VW oil cooler is also fitted under the engine to utilise cool air scooped up by a lip in the fairing. The ignition has been modified from the usual battery coil set-up to a more suitable magneto system, which Kooistra made. With the increased torque of the 500cc motor, the primary drive chain was seen as a possible weak link due to difficulties experienced earlier with the 350cc engine. 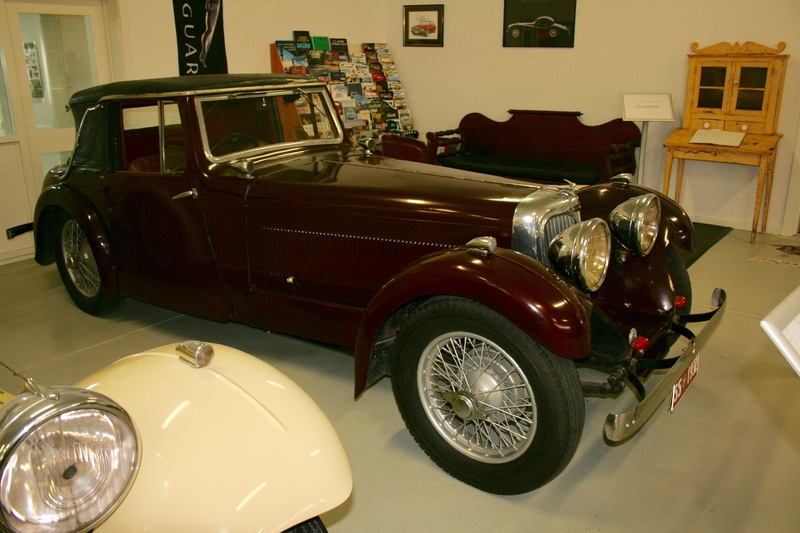 Jerry attacked this problem by replacing the chain with his own gear drive system between the crankshaft and the clutch, resulting in an entirely reliable primary drive. Problems did occur with the race kits $1,200 five-speed transmission. The five-speed racing transmission was designed to fit in the space vacated by the standard four-speed gearbox and was designed to handle only 28 reasonably tame racing horsepower. Unfortunately, the full torque of the 500cc engine at 9,000rpm usually resulted in stripped gears. One solution was to increase the speed of the gearbox to the crankshaft by changing the gear ratio between them. The other was to switch to a cush gear drive by installing a Honda dream rear hub, the both of which have eradicated the gearbox woes. The clutch has also been beefed up with the addition of three more plates making a total of eight. Bill Horsman in action on the Honda at Mallala Motorsport Park. No matter how much horsepower is extricated from a racing engine that alone will not win races. A lot of innovation and clear thinking has gone into transforming the CB72 from an adequate road bike into an excellent racetrack performer. The CB72 is well known for dragging its engine cases under racing conditions which can result in oil leaking from the main oil feed gallery that runs to the gearbox on the primary side. To improve ground clearance the spine tube type frame was cut into half a dozen pieces and then reassembled with extra bracing around the main backbone tube and the standard length swingarm. The opportunity was also taken to change the steering heads rake and trail to angles more suited to racing. The net result is an incredibly rigid frame with more ground clearance than available tread. The front forks are standard items with the primary development being different weight fork oil. Earlier experience with the race kits stiff fork springs only resulted in producing the world’s first 140mph (225kph) pogo stick! At the rear Koni hydraulic shocks are used but re-valved by Jerry to his specification. Some problems were encountered with the standard twin leading shoe front brake that under racing conditions were cracking the hub due to excessive heat build-up. The solution to this came in the form of a specially cast hub Graham had made by his father-in-law in the early sixties. A new hub was made from the pattern of the original to give the bike a twin leading shoe arrangement. But it wasn’t quite as simple as it sounds. 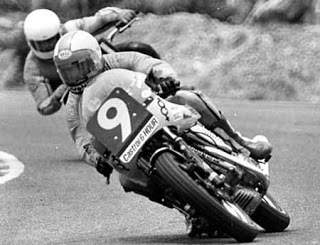 To get identical braking on each side Jerry took the backing plate of a CB72 front brake and cut it into seven pieces. 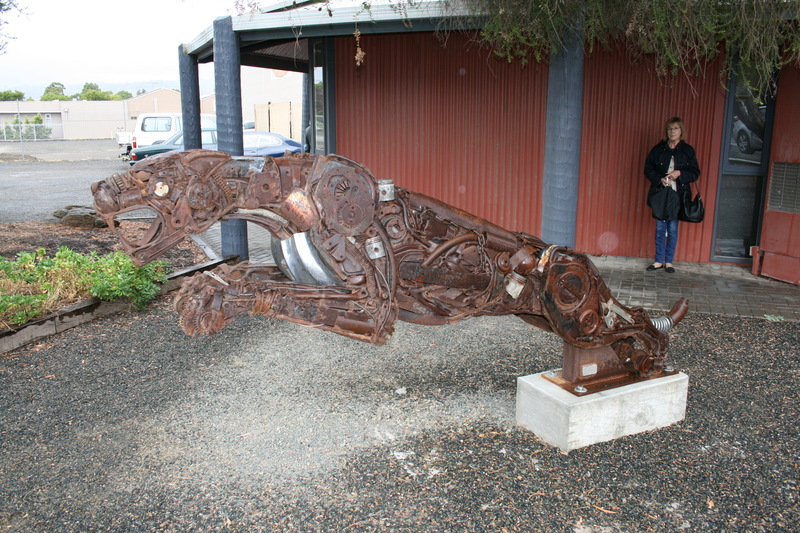 He then re-arranged the parts so he had a mirror image of the original and welded them together. It’s almost impossible to detect the welds as the whole thing is so well executed it looks like a factory component. A Honda Dream rear brake unit with competition linings adequately handles the rear braking duties. Kooistra also crafted the tank and seat unit from aluminium as well as the fairing of their first bike, the 350, from which fibreglass replicas were moulded. Jerry’s five-year cadetship in mechanical instrument and tool making shines through again in the execution of the hollow footpegs, brake and gear lever, which have an almost clinical precision to them. 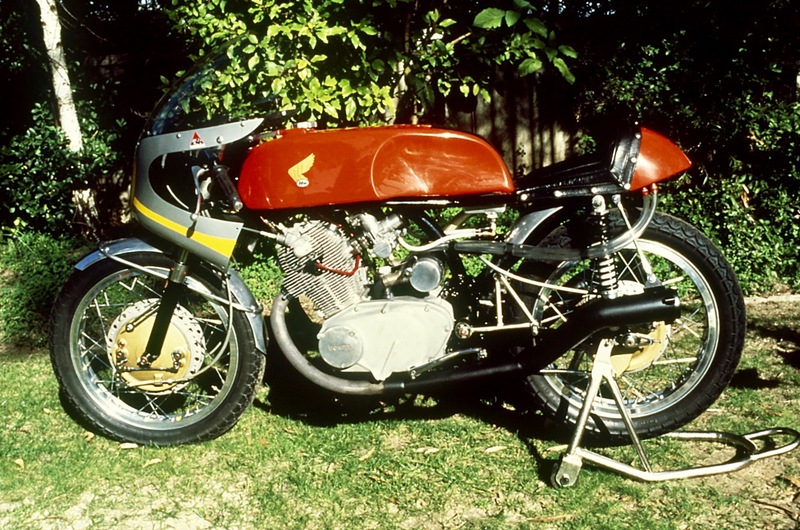 The overall effect of this high level of craftsmanship is a racer that looks as though it just rolled out of the factory’s racing department and good enough to win the Best Competition Bike and Best Bike trophy at the 1983 Adelaide M.R.A. Bike Show. Note the replica carburettor patterned on the Grand Prix units used by Honda in 1959. 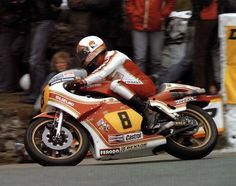 To Graham Besson, the Honda CB72 based racers are a realisation of how he would like to have gone racing 20 years ago. For Jerry Kooistra, they have been an outlet for an inquisitive mind and an enormous creative talent. With 8 times Australian Champion, Bill Horsman, riding them you have an irresistible force in Australian Classic Racing that with the required sponsorship can only do well at Daytona in 1985. Words and photographs © Geoff Dawes 1984. Published in the March 1984 issue of Bike Australia. 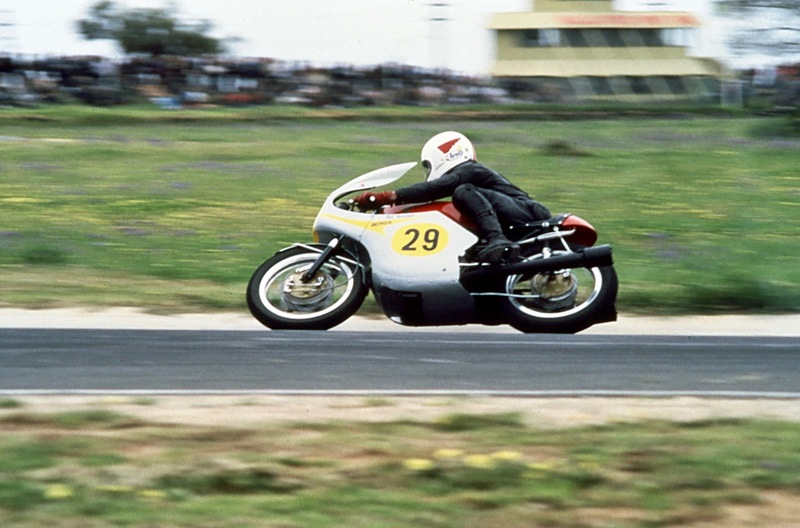 This entry was posted in Motorcycle Racing and tagged Bill Horsman, Classic Racing, Graham Besson, Honda 250cc CB72 Super Sport, Honda 350cc classic racer, Honda 500cc Classic Racer, Honda CB72 race kit, Jerry Kooistra, Mallala Motorsport Park, Otto Mueller on 20/05/2017 by Geoff Dawes.